Crowdfunding is still in its infancy. The federal association is very anxious to create confidence. Now a transparency seal is to contribute to it. Reutlingen is now a new branch office of the European Space Agency ESA. The h-aero was exclusively booked by ESA for this very special event..
On behalf of ESA, Hybrid Airplane was in the technology park in Reutlingen at the opening of a center for founders of the European Space Agency ESA. It is not a helicopter, no plane, no hot air balloon, no cute alien and no drone. The aircraft H-aero does not fit in any drawer. And that is exactly what could make H-aero big. Manned flying based on renewable energies: A Stuttgart start-up is developing a kind of flying Frisbee - a green mix of airplane, helicopter and balloon. The idea is praised as a future solution in air traffic. At the VC-Pitch BW event organized by the Stuttgart Stock Exchange, high-tech founders from the areas of IT, health and biotechnology as well as technology are soliciting investors. H-aero took fourth place here. The conceivable applications are versatile. From the air transport of sensors or goods, to the manned flight or even as a terrestrial satellite. Csaba Singer wants to conquer the airspace together with his partner Christian Schultze with this innovative flying object. Balloon? Helicopter? Airplane? With a mixture of everything, two founders want to conquer the airspace in the future. Soon, the first series production will start. He looks like a lenticular balloon. Fly fast like an airplane. And is agile like a helicopter: the H-Aero. Hybrid-Airplane Technologies GmbH developed a hybrid-flightsystem with higher payload and flight duration than other drones. Hybrid-flightsystem "H-aero" combines advantages of airplane, balloon and helicopter. Hybrid-Airplane Technologies GmbH (HAT) started a Crowdinvesting campaign on SpaceStarters and targets a mass production for their Hybrid-flight-system. The first flight system that is allowed to fly over human crowds. The state winners of European Satelite Navigation Competition (ESNC) 2017. Results of the 1st Edition of Space Exploration Masters 2017. The new competition dedicated to Space Exploration for innovative Business ldeas and Technology Transfer Success benefitting Earth. The Paris Air Show was the setting for the announcement of Europe's first innovation competition focused on space exploration. The 'Space Exploration Masters', launched by AZO on behalf of ESA, is looking for unnovative business ideas in space exploration that provide major benefits for the global society and the economy. 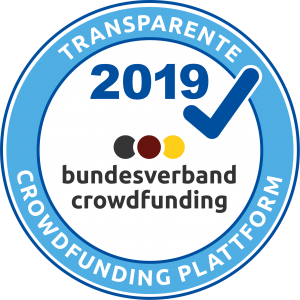 The State of Luxemburg has awarded a prize worth 30,000 euros for the implementation of a Crowdinvesting campaign on SpaceStarters. On June 21st, the first innovation competition for space exploration, the "Space Exploration Masters", was launched at the Paris Air Show in Le Bourget. The Luxembourg government and the SpaceResources.lu initative will award two prizes worth a total of €430,000 as part of a European Space Agency (ESA) innovation competition. In order, to the Explorations Masters competition the Luxembourg state, is sponsoring the launch of a crowding-up campaign of the Space on SpaceStarters.com, to support young projects in early-stage financing. At the Pairs Air Show in Le Bourget on June 21, 2017, the European Space Agency (ESA) announced Europe's first innovation competition on space exploration, the "Space Exploration Masters". 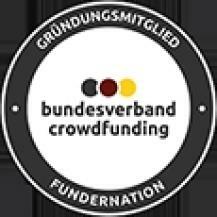 One of two awards will offer a crowd investing campaign on www.spacestarters.com with a 30,000 euros value of service to prepare the campaign launch. The State of Luxembourg is awarding a prize worth 30,000 euros for the realization of a crowdinvesting campaign on SpaceStarters. Deep Space Industries is working with Luxembourg on Prospector-X, a mission to test technology in low Earth orbit that could be used on future asteroid-hunting excursions. NASA will pay DSI for technology to return mined minerals from asteroids to Earth’s orbit. DSI is developing a way to use aerobraking to bring minerals back to Earth. The celestial objects are throught to be loaded with tonnes of precious metals and minerals, including pricey platinum, worth quadrillions on Earth. According to Business Insider the psychological barrier to mining astorieds is high, while the actual financial and technologie barriers are far lower. Goldman Sachs is bullish on space mining with "asteroid-grabbing spacecraft." In a 98-page note for clients seen by Business Insider, analyst Noah Popnak and his team argue that platinum mining in space is getting cheaper and easier, and the rewards are becoming greater as time goes by. Companies can still apply for the participation at "SpaceDataHighway - announced by Airbus Defence & Space - until the end of the month. The competion links to the space company's satellite communication system and pursues the expansion of the application portfolio with the help of innovative ideas created by the competitors. The countdown is running- till the 30.04.17 companies can sign up and take part on the "SpaceDataHighway Challenge" advanture. The "Enter the SpaceDataHighway" Challenge is a contest of Airbus Defence & Space to forster the innovation and expansion of the application portfolio for the most ambitious and forward-looking satellite-baste communicationsystem worldwirde- the "SpaceDataHighway". Airbus Defence & Space shouts out for the "Call of Ideas". The space company Airbus Defence & Space has called for tender to expand the application portfolio of "SpaceDataHighway", a high technology satellite-based communicationsystem. US-based asteroid mining company Deep Space Industries (DSI) has recently revealed a new spacecraft called Prospector-X. The spacecraft, which takes the form of a smalö satellit, will be used to test a number of new technologie which will be usefull for future asteroid mining. DSI aims to eventually capture and harvest mineral resources on asteroid mining. Via Satellite announces Deep Space Industries as one of two advanced companies, selected by NASA and partners. The cooperation will receive benefits for both. The SpaceStarters.com initiators Uli W. Fricke and Thorsten Rudolph discuss the investment perspectives in the NewSpace industry. Why is asteroid mining so popular and which role does Deep Space Industries play here? The second winner gets rewarded with €25.000 to launch a professional CrowdInvesting on SpaceStarters in order to finance the realization of an application for the "SpaceDataHighway"
The initiative was launched with the support of the European Commission (EC) and the European Space Agency (ESA). With the world's first commercial data relay service, up to 40 terabytes of data can be transmitted in real-time. The second placer will receive a prize of € 25,000 to start a Crowdinvesting campaign at SpaceStarters.com to make the ideas a reality. The competition is open to small and medium-sized enterprises, new companies (start-ups), business people and students who want to participate in this adventure, and turn your business idea around the "SpaceDataHighway". The SpaceDataHighway is a unique system of geostationary communication satellites that, in conjunction with laser-assisted ultra-wideband communication, provides a secure data transfer almost in real time, which means that delays in data transmission are now a thing of the past. "SpaceDataHighway" is one of the most ambitious and forward-looking satellite communications systems in the world. Since the 23rd of November, it has been sending massive amounts of data in real time through space. An amount of €25,000 will be provided to the second winning idea to launch a crowdfunding campaign on the SpaceStarters platform. The SpaceDataHighway is a unique space communication system combining ultra-broadband laser communications in geostationary orbit to deliver a unique, secure, near real time data transfer service - making data latency a thing of the past. Airbus announced a competition called "Enter the SpaceDataHighway". Its goal is to develop the new system of space communication, which is based on "innovation" based on laser technology. The European company Airbus announced an international competition Enter the SpaceDataHighway to create a unique space laser communications system, the winner will receive an investment of 75 thousand euro and support the business incubator Airbus BizLab, told RIA Novosti the representative of Airbus. The challenge aims to foster innovation for its brand-new laser-based space communication system. One of the winners will be awarded with 25.000 € to start a crowdinvesting on SpaceStarters. Airbus Defence & Space looks together with SpaceStarters for attractive business ideas for the utilization of the "SpaceDataHighway", one of the most ambitious communication systems in operation today. Deep Space Industries appoints new Chief Executive Veteran Start-Up Strategist Bill Miller to lead DSI as CEO. With an impeccable track record of growing technology companies, Bill brings game-changing approaches, solutions, and perspectives to DSI through his experience in defining, developing, and delivering results for dynamic organizations. Still in our atmosphere is a huge asteroid, which contains about 50 billion dollars in platinum in itself. The first companies are starting to develop the technology necessary to reach these treasures. What makes asteroid mining so lucrative in the future? Read more about this topic in the mention above article. Read about why Luxembourg, Partner of DSI, Is the Global Leader in Asteroid Mining. Read the year review of 2016 and with it Deep Space Industries as one of the biggest Milestones and Luxembourg invested in asteroid mining. Deep Space Industries interview with the Letzenbuerger Gemengen and the topic how Asteroid mining could open up a wealth of new resources for humanity. The futurism again about Deep Space Industries as the astreroid mining company in the modern day space race. It’s how Daniel Faber starts most conversations: “I’m all about getting people off this rock.”. Europe 2020- Luxembourg boldly invests in asteroid mining. Forbes about DSI including an interesting interview with the CEO Daniel Faber. Innovation through the new space law. The FAZ reported about Deep Space Industries and their innovations in the growing space segment. The biggest German financial newspaper about Deep Space Industries as the main operator in asteroid mining. A detailed article about the uniqueness of SpaceStarters. The new crowdinvesting Plattform SpaceStarters focused on space based innovations. Launch of the new Campaign of SpaceStarters. Uli W. Fricke, CEO presents SpaceStarters at the Satellite Masters Conference in Madrid. The new CrowdInvesting Platform for space-based innavtions is live. H-aero is a revolutionary Hybrid-Flightsystem that combines the advantages of an airplane, helicopter and balloon. It eliminates the disadvantages of current flightsystems with higher payload and flight duration, and it is completely emission free. Europe’s first innovation competition on Space Exploration is looking for applications and services benefitting Earth until 8 September 2017. One of the prizes is for projects that are ready for early-stage funding. This award will offer a crowdinvesting campaign with SpaceStarters worth EUR 30,000 of services to prepare the campaign for launch. Until April 30, 2017, companies can register with their idea for the use of the new data highway and thus participate in the adventure "SpaceDataHighway Challenge".